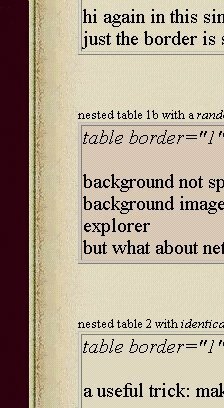 the tables are not transparant. Or are they? 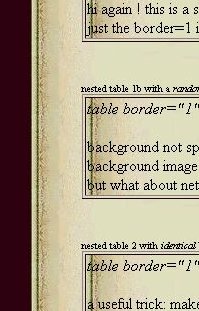 does non-existent image x.jpg mislead netscape? did you get rid of the repeated background ?